The following has been in the back of my mind during what now appears to be the whole of last year. In April 2014 Mario Monti gave an interview to Marc Peeperkorn in the Dutch newspaper Volkskrant, p10-13, “The man who saved Europe” (Dutch original: “De man die Europa redde“). 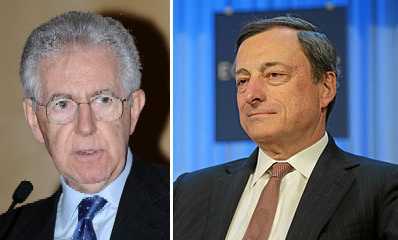 Mario Monti is not to be confused with Mario Draghi – especially where they collaborated on a rather dangerous trick. Mario Monti was European Commissioner in 1995-2004 and Prime Minister of Italy in 2011-2013. Mario Draghi was Governor of the Bank of Italy in 2005-2011 and is President of the European Central Bank (ECB) since 2011. They performed their trick in 2012. Monti: “During the European Summit in June 2012 I have used my full negotiation power – including a threat with a veto – to get approval for a seemingly boring paragraph. At four o’clock in the morning it had the signatures of all leaders, including Merkel, my good friend Rutte, and the Finish Prime Minister Katainen, you can say the monetary fire power from Northern Europe. As a trick, it deserves a compliment, and it would be difficult to argue convincingly that the European Summit has been misled in a significant way. However, the trick comes with a price. This is that structural reform of the euro has not been put on the table. The Eurozone leadership has been kept in the mental frame of muddling through, while instead it would have been useful to reconsider the monetary mechanism. The current set-up of the euro works like the gold standard, while our economies require the benefits of fiat money. See my paper “Money as gold versus money as water“. European leaders are not trained in economics and may not fully understand what has been happening. The two Marios however should understand. My proposal is that they meet again and discuss how their quick fix requires a follow up on structural reform. However, Evans-Pritchard seems to have no alternative other than a return to national currencies, and my paper suggests that the euro could survive with core national sovereignty provided that each nation adopts its own national Economic Supreme Court. Vladimir Putin called me this morning. He was his usual confidence but I sensed a tad of worry. When Putin calls there must be a reason. Putin went silent on the other side of the line. I could not suppress a shudder. I felt happy that this was a normal phone without views. On occasion, circumcision can be a good medical procedure, like an appendicitis. 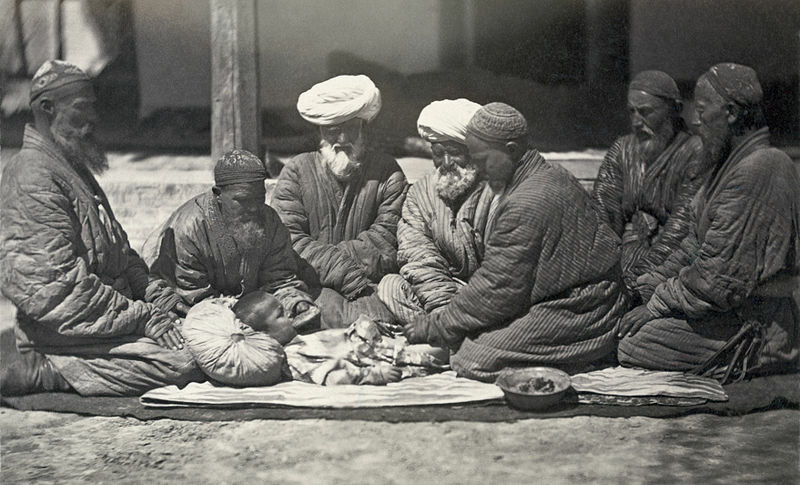 Standard circumcision of baby boys, however, as happens in hospitals in the USA or Jewish “feasts” (a party except for the baby involved), is a sick barbaric custom. It is used by a priesthood to separate their flock from others and emphasize an “us against them” mental frame. Medical Doctors should explain parents that circumcision is not necessary and much cheaper in terms of medical bills. Rabbi’s should explain their Jewish flock that there is no need for circumcision but that donations are accepted for a nice speech. If rabbi’s have a hang-up against baptising a baby since this looks too Christian and if they really want to see blood, then they might consider making a cut in their own body. Psychology tells that people tend to rationalise their condition. There is a mental need to accept your body and situation. Rich people think that they deserve their wealth while it may be a fluke of nature. Poor people may tend to accept their poverty since it may make them more miserable to think otherwise. Circumcised men will not demand severance pay from their parents but may start feeling proud of being part of a “great tradition” – and then circumcise their own boys. The “us against them” mental frame is very powerful and very stable. Banning circumcision is no good idea. The custom and mental frame are too strong and believers will go underground, and the custom might even get the appeal of resistance against the nanny state. Matter of fact and common sense and fairness are the key words. The “us against them” mental frame might contribute to a nuclear conflict in the Middle East. Potentially the real causes are land and water, or in a good German word Lebensraum. But such issues are generally solved by mere economics. When people can work in peace and trade the proceeds then prosperity multiplies. Such an outcome apparently is not in the interest of politicians, priests and the so-called “scientists” who advise these. The real problem is not Lebensraum but mental dishonesty. See the earlier discussion of the high priests of high treason. Thinking about the nuclear war to eliminate circumcision causes me to look at four websites. But let us first observe that the Bible is dangerous Literature. The NT is dangerous Literature. The NT is a summary of the OT. Thus also the OT is dangerous Literature. Let us consider the NT, and then Acts 5.30 in both CEV, KJV (that generally follows a Hebrew translation of the original Greek) and original Greek. One may check also the various Biblehub versions with “nailing to a cross” versus “hanged on a tree”, or the stepwise translation of the original Greek with only that tree and no nails. Many translators agree that it should be “nailing to a cross”. They are embarrassed by the original Greek “hanged on a tree”, and repair the error – disinforming readers about what the true text is. The embarrassment is that – certainly in Acts, long after the event – it should be a mantra that Christ was nailed to a cross, so that “hanged on a tree” is incomprehensible. The embarrassment is that “hanged on a tree” is comprehensible as an earlier version of the story, taken from conventional myths about dying and rising (fertility) gods who are hung on trees (or trees themselves) – check for example the Roman Hilaria (Spring festival) – so that the original editors of the Acts apparently forgot this passage when they switched to using the cross to make it a Roman punishment. The verse illuminates that the NT is religious literature and no report about true events. The NT is not “The truth, the whole truth, and nothing but the truth” but dangerous literature. It is a deliberate composition of narrative, propaganda and theological argumentation. The NT follows the poetic rule “to tell lies to tell the truth” – but users should beware of the dangers of the passions that are invoked. An alternative interpretation is that the editors (“Luke”) only recorded Simon Peter’s words from memory by eye-witnesses, and that some details got lost in transmission, or that Simon Peter really used poetic liberty to evade the tiresome mantra. People who believe this may also think that circumcision is a good idea because Christ was circumcised too. I came upon Acts 5.30 from re-reading Lena Einhorn’s paper on the time shift hypothesis, in which she also discusses who Simon Peter might be. Check pages 21-24 for the story around Acts 5.30. Stuart G. Waugh has a weblog Post Kitos War. His work on Marcion is referred to with interest by Hermann Detering’s website. Waugh on his part refers to Detering again. The Einhorn (2006, 2012) and Eisenman (2006) time shift hypothesis holds that real events around 70 AD are projected onto fictitious “Biblical events” around 30 AD. Waugh wonders about the relevance of the Bar Kokhba Revolt in AD 132-136 but points more decisively to the Kitos War in AD 115-117 and the direct threat to Alexandria. We also see a Basic Passion Story of around 41-44 AD. The flexible time shift hypothesis is that there are layers of editing, so that indeed more time frames may be involved. The core would still be the (E & E) time shift hypothesis since the destruction of Jerusalem en Temple is such a dramatic event. Waugh refers to an eclips around AD 118 that might be relevant for Marcion’s Paul, with a youtube series by Michael Xoroaster. See more on the AD 118 eclipse. Richard Edmondson describes himself as: “I am a novelist, poet, journalist, and peace activist. My latest book is The Memoirs of Saint John: No Greater Love, a novel about the life of Christ as told from the perspective of John the son of Zebedee, the youngest of the twelve disciples.” This kind of religious novel is confusing, since it introduces more noise into a subject that already is rather noisy. More relevant is his work as a journalist / commentator. Whatever Edmondson’s political points of view and writing of religious fiction, I found his journalistic discussion of the role of Marcion on the creation of the NT and the abolition of the OT rather nice. See his text “Chuck the Old Testament?“ (February 17 2014). This discussion must be seen in the context of our earlier exposition that Simon Magus was a real heretic. The gnostic / docetic version of Christianity lost from the butchershop religion with a real suffering Jesus in the flesh. What drives history here is the logic of the theological argument. In AD 100, Judaism did not accept this theological argument. They did not believe in the existence of Jesus anyway, so his supposed death had no value. Perhaps now though, in 2015, Israelites might accept the argument that the OT is religious fiction, just like the NT is. You are chosen by fiction, great. Edmondson holds that the USA isn’t critical enough on Israel, likely for fear of sounding anti-semitic. Here is an example of his protest against propaganda for a war with Russia. There is a useful reference to this article by Robert Parry of March 11 2015 on such war propaganda. Looking on the internet for this kind of view that struggles with propaganda and psychological framing e.g. about anti-semitism, we also find The Christian Solution. The nice element of this TCS website is that the author looks for constitutional reform, and suggests that the USA devolves into more power for the States. This is an issue that we can discuss in Political Economy. 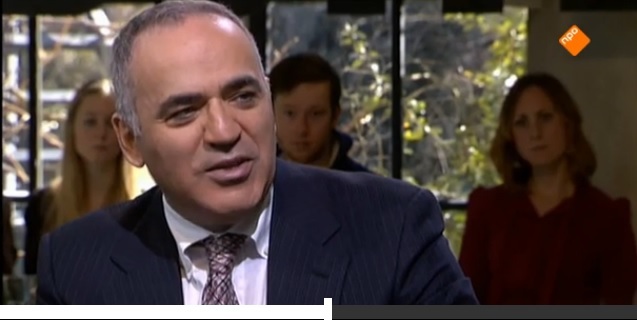 “Truth is that this website is neither anti-Semitic nor religiously fanatical. This website is merely reporting what is not being reporting. It is re-slanting, in the opposite direction, that which has already been slanted away from the Jews by the media-Scribe monopoly. (…) They can call me anti-Semitic. Fair enough. And, I will call most of their leaders Satanic Pharisees, Sadducees, Herodians and media-Scribes. I will call them anti-Christian and Jesus-deniers. Yes, we reach the point that Hitler is mentioned. The TCS term solution remains awkward in the context of the Endlösung. 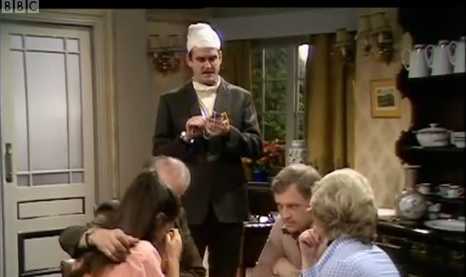 Check youtube on Fawlty Towers, Don’t Mention The War. My suggestion is to first deconstruct Christianity, and only later look at Judaism and Islam. Europe and the USA have democracies with professional education and a free press. They are also historically mostly Christian and should be able to overcome the religious disinformation from the past. A more enlightened and prosperous Western society should be a beacon for the rest of world. The risk of a nuclear war in the Middle East rises. We might see it as a way to eliminate circumcision. It would be wiser to eliminate circumcision by better education and a free press, and thereby reduce the “us against them” mental frame that increases this risk of nuclear war. For the relevance for education, see here. I saw Pratchett only once, around 1985, at a SF Con in the Atlanta Hotel in Rotterdam – organised by NCSF and Holland SF. The Colour of Magic had been published and it was obvious that he was a marvelous author. The convention was mostly in Dutch and he spent most time on his laptop – and most fans dared not interfere afraid of interrupting the flow of creation. I had taken along young X – whom I could later introduce to Pratchett’s work, who remembered and then appreciated him much too. Later, when Z got into the SF reading stage, Pratchett’s books became something precious to share too. I discovered two ideas in Pratchett’s novels that I had thought about myself too – and thus zillions of others I hadn’t. The one is how dragons can fly even while being too heavy to fly. This is by micro teleportation. For, once you accept the idea of teleportation, then you can apply it everywhere, and why shouldn’t dragons use it to move through the sky atom by atom ? The other notion is that a god is born as a tiny idea and grows by acquiring followers. No doubt others will have thought about this latter notion too but I felt some satisfaction that I had done so before reading Pratchett. Whenever I notice a silly idea growing in attention I tend to think: “Oh, there is yet again another little god” – and I also think of my independent agreement with Pratchett on this. 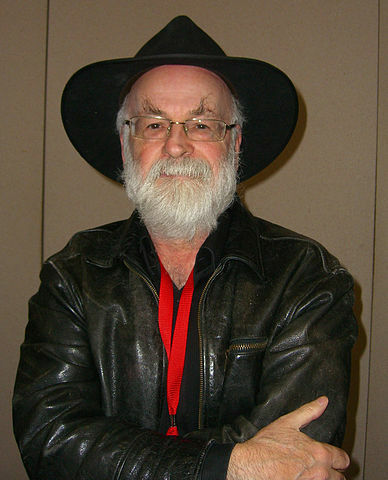 The Science of Discworld has already received attention by Pratchett in collaboration with mathematician Ian Stewart and biologist Jack Cohen. It is difficult to determine whether the magic and religion has received similar attention. Even for a fan it is quite a task to keep up with some 70 of Pratchett’s works and the commentaries. I now notice a book on The Folklore of Discworld but that need not be the same as what I intend here. Frazer, The Golden Bough (1922, 1978), makes these distinctions, that can usefully be put into a table. Magic is close to science, since it is based upon laws, like those of similarity and contagion. Magic is close to religion since there are spells and prayer. Magic itself is an odd mixture of science and religion. Most magical, in the view of Pratchett, is the use of words, that may effect an entire change of perspective. One example are the words printed on pieces of paper called money. In Discworld there is Death with some persona but with a curious mythology – and even a granddaughter. Chaos is represented by accountants who try to turn human life into maximal entropy. One key notion about Discworld is that it has been created by superior aliens: and after creating Discworld they hid themselves in the subconsciousnesses of their created human beings. We can only guess what their purpose was. This is a tiny idea that may grow into a full religion. Damascus is considered as a code word for Qumran. Let us look into the possibility that Antioch might stand for a faction in a Council of War. Antioch has 29 hits in 28 verses in the King James Version. There are more Antiochs, like on the Orontes and in Pisidia. Some references may be to real cities. A reference might also be more metaphorical. It is in Antioch that the word Christian is coined – though it is not specified which Antioch. In Acts 11, the gospel to the gentiles starts, with permission by Simon Peter. Acts 13.1-3 seems to refer to Antioch on the Orontes since Saul & Barnabas later continue to Antioch in Pisidia. But the verses provide us with a somewhat surprising list of names. Apparently the Bible has only one occurrence of that name Niger. FJ has a Niger of Peraea involved in War Councils, see Goldberg’s chronology 3, November 66-March 67. For Manaen, Manahem, Menahem, Menachem (conventionally “comforter, consoler, mediator, advocate, Holy Ghost, paraclete” – but see below) here is the hypothesis by Lena Einhorn that he would be Simon Peter, using her time shift hypothesis. Allow for a flexible time shift: There is Lukuas of Cyrene who was one of the leading rebels in the Kitos war 115-117 AD. As Lukuas ransacked Alexandria, the intellectuals there had a good reason to finally get rid of these rebelling Jews. They may have answered by the means that they commanded, their pen, to rewrite the OT into the NT. Remember also Simon of Cyrene who carried Jesus’s cross, as some final helping hand. Editors of the NT in 120 AD may well have borrowed Lukuas’s name to express the continued rebellion – and perhaps this is where the evangelist Luke got his name too. For Saul / Paul & Barnabas we discussed the hypothesis that Barnabas ~ Flavius Josephus and that Saul / Paul ~ his brother Matthias. Let us consider some of these characters and roles. Some have little doubt that Acts 13.1-3 is a key event in the gospel by Paul. We already saw the start of the gospel to the gentiles in Acts 11 and thus Acts 13 only indicates that Paul takes the leadership. When Paul writes letters about an (additional) female companionship, we are reminded that a high priest has two wives in order to remain pure and be able to stay away from blood. Translations matter. The “Separate me” required by the Holy Ghost might be interpretated in various ways. In another case a person’s ears are cut off so that he no longer is pure enough to become a high priest. The modern Google Translate gives excommunicated for ἀφορίσατε (aforisate), and Bible Hub gives “set apart”. Non-academic writer Joseph Atwill suggests that in Antioch at least Saul is castrated for becoming lax on circumcision and causing the murder of Stephen (James the Just). See the Appendix. I don’t think that this argument is so strong. A castrated Paul could no longer be a high priest so one can imagine that he concentrates on the gentiles. Atwill overall suggestion is that the NT is black comedy written by Romans to subdue the Judeans and at the same time make fun of them. It seems that this may cause more questions than that it solves. The NA28 original and CEV translation are, and check the verses by terms 13.2 and 13.3.
the events before and after. Thus rather than thinking about a congregation in the city of Antioch on the Orontes, we may think about different views, philosophies or tendencies, and perhaps even the moods in a War Council. What connections to Cyrene ? Thus there are various elements that a writer of the Acts can use to create verse 13.1-3, with an opponent of FJ ~ Barnabas and a separation of ways with such various characters involved. Up to now, I used the term time shift hypothesis for the idea that events in the NT supposedly from the time of Pontius Pilate around 30 AD actually code for real events around 70 AD and the destruction of Jerusalem. Let us now use the phrase flexible time shift hypothesis for the phenomenon that passages may apply to various events in time. The NT was composed over a longer period of time, with layer over layer, and portions were added and deleted (depending upon the effect on the readership or audience). We for example saw a Basic Passion Story for the release by Agrippa of Simon of Zebedee in 41-44 AD. Perhaps at that time it was a major story, but eventually it dropped to a lower level of interest. “(…) the Bar Kochba revolt (…) simply wasn’t as big a deal as it has been made up to be. While it was a long nasty brutal guerrilla war which inflicted some horrific casualties, it was also extremely localized and had little impact on the larger Empire. Although many modern zealous Zionists want to paint the picture of a bigger war, the archeology simply doesn’t support it. In fact much about the War and the build up, and even the Roman construction of Aelia Capitolina, is misreported or simply wrong. And the more I examine the Marcionite text, the Gospels of Matthew and Mark, Romans Law and the various Historical reports, the less of a big deal this revolt seems to be in the big picture. Thus we should allow that Lukuas has been written into the New Testament, both as helping Jesus carrying the cross and partaking in that Council of War. The most important point w.r.t. Manahem perhaps should be that Bible translators and researchers should write his name in consistent manner, for it is silly and irritating how much time can be lost simply in checking all versions. Wikipedia has an article “Menahem” with a picture of a “Manahem” which shows the idiocy – and it appears to concern a king of Israel in the Old Testament (Northern Israel to be distinguished from Southern Judea) – while the Manahem who started the Jewish rebellion in 66 AD is not important for an article on himself. Currently I follow Josephus, in the Whiston translation, who introduces Manahem as the person who started the violent rebellion around 66 AD that led to the destruction of Jerusalem in 70 AD. As said, Einhorn ventures the hypothesis that Manahem is Simon Peter, and she writes “Menahem”. I agree with Einhorn that portions of Manahem have been used by the NT editors to create Simon Peter. However, he need not be fully him. It seems that portions of Manahem have also been used to create Jesus, King of the Jews. 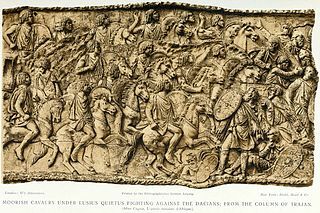 For FJ describes in two passages in War 2.17.8-9 how Manahem started the rebellion, took the state and attire of a king, and was eventually slain by his compatriots, all in 66 AD. Later in 70 AD we see Simon bar Giora in the attire of a king, being captured by the Romans and executed in Rome. It is nice to see how the responsibility shifts from Jews to Romans. Thus at least these two characters have been used to create Jesus, King of the Jews. Since Manahem was slain so early in the rebellion my impression is that Simon bar Giora had a longer impact. Indeed, see biblehub on maneh (also translated as pound). It leads too far to draw strong conclusions here. We scratch the surface and already find some interesting possibilities. There is a danger of reading too much into the texts but perhaps there is some illumination here. “The first mystery concerning Paul is why did the author of Acts change his name from ‘Saul’ to ‘Paul’, a word that means ‘tiny’. The truth behind Saul’s nickname is viscous humor that makes fun of the fact that Paul was not merely circumcised but castrated. The story of Paul’s castration is black comedy and is given in Acts 13 1-9. Prior to the scene in Acts 13 Saul/Paul had attacked a member of the ‘way’ – Stephan – who has been preaching for ‘Jesus’, in other words, Stephan had been preaching for the Flavian Christ. Following this event Saul shows up in Antioch with a group that includes a ‘stepbrother’ of Herod. Then the ‘Holy Spirit’, for some reason, orders Saul ‘separated’ – the Greek word used can also mean ‘severed’ – and the group then “placed their hands on him” – the word used for “placed” can also mean ‘attack’. Following the event Saul becomes ‘Paul’, a word that means ‘tiny’. In other words, Paul has been ‘severed’ – or castrated – by the group led by Herod’s ‘stepbrother’ as revenge for his participation in the attack on a member of the ‘Way’ – the Caesars’ version of Judaism. This was how Saul became ‘Tiny’. To digress, this analysis shows not only the reason why the Romans named the character ‘Paul’, but why they gave him his original name of ‘Saul’. Saul was the Jewish king that had demanded David obtain ‘a hundred Gentile foreskins’ and the Romans named their character ‘Saul’ to imply that his ‘circumcision’ involved – like the one ordered by his OT ‘forerunner’ – more than a single foreskin. The author of Acts ‘clarifies’ the relationship by actually mentioning the OT Saul in the passage where ‘Saul’ becomes ‘Tiny’ – Acts 13:21. The author also notes that the OT Saul’s reign had the space of forty years. This ‘foresees’ the forty years between the beginning of Paul’s ‘ministry’ at approximately 40 CE and the start of Domitian’s reign in 81 CE – a roughly forty year cycle parallel to the one which linked Jesus to Titus. Atwill’s suggestion for me at this stage creates more questions that it solves. His overall suggestion is that the NT is black comedy written by Romans to subdue the Judeans and at the same time make fun of them. It is a possibility, but one with drawbacks. (1) There should be an explanation why the attack would be needed, and what the meaning of the Holy Spirit is. Saul would be silly to first kill James and then think that he could drink tea with his followers. Thus the story likely is different. I would like to see wider context: that Eisenman interpretes Stephen as James, so that we know that we are speaking about the same sequence of events, and why Atwill might disagree with NT and Eisenman.We should try to check again what Eisenman says about the scene. (2) Castration requires much explanation. Why this measure ? Would it not kill an adult ? I found a source that somewhat took away some of my hesitations: A Brief History Of Castration: Second Edition, by Victor T. Cheney. I suppose that “an eye for an eye” is their world, but then they would kill him instead of castration. wouldn’t they ? Merely black comedy is not enough. They might also cut off his ears, which would be more of a visible thing. I suppose that Atwill explains this in the book, but I am afraid that he has to explain this now to his audience, because now it may be a reason not to buy the book. My impression still is that an adult who has been castrated against his will might well collapse psychologically, and not have the energy that Atwill allocates to Paul. I suppose that he discusses the issue in his book. But his website could provide the main argument. (3) Theologians might very well understand models of black comedy. It would be important to recover their arguments why they reject it. (4) Since we will never know what is the true story about Jesus, the main issue is what can be sensibly told in highschool so that students get a foundation to deal with a confusing world. The idea that the NT is black comedy likely leads too far. People will not understand typology and black comedy when it isn’t discussed with them first. Okay, it is in the Caesar Messiah, but every class starts with a recall of last session & where are we now, and I would like to see this on the internet too. (5) As a final caveat: The weblog text on Atwill’s Shakespeare’s Secret Messiah requires mention of Hamlet’s Mill, by Giorgio de Santillana (a professor of the history of science at MIT) and Hertha von Dechend. An important section of our literary legacy derives from stories about astronomical events reworked into human drama. Atwill now links Shakespeare to the New Testament but there may well be a common source. But of course Atwill’s new thesis must be judged on its own arguments. For Jesus, we are so much conditioned to think about the 30 AD period that key insights threaten to be neglected. The events around 70 AD are much more important for the Origin of Christianity. A critical reader had a question that caused me to re-read Lena Einhorn’s 2012 article on the time shift hypothesis again. I found this re-reading very valuable, and advise you to do so for refreshment too. The time shift hypothesis isn’t bread and butter in the literature. I should hope that academics check Einhorn’s results and publish confirmations so that the hypothesis gets more recognition for the study of Jesus and the origin of Christianity. But read that article, again, and apply the shift. I had wanted to wrap up Paul and then develop a model, but this objective shifts in time too, to later weblog entries. There are some points on Simon Peter that need attention too: see later. In last weblog entry I suggested that the main inspiration for Jesus lies in neolithical myths of a dying and resurrecting sun god. On this model human characters and live events are pasted. Jesus is essentially a combination of a priest and a warrior. The main models would be James the Just for the priest and Simon bar Giora for the warrior. There are additional layers on top. Paul turns James’s gospel into the gospel for the goy and Church editors finalize the story as it has come to us (in at least four versions). Like Damascus might be a code word for the Essene (Taliban) community of Qumran, potentially Antioch might be a code word for a section in the War Council in Jerusalem (see Goldberg here). Are these potential codes useful or not ? The Egyptian is one of my dear hypotheses. How does he fit into this framework ? The Egyptian is too vague a figure for the rich content of Jesus’s teachings, and for the core of Jesus’s claims on the Son of Man (Stephen / James) and King of the Jews (Simon bar Giora). The Egyptian occurs around 58 AD in relation to the murder of Jonathan, while the story of Jesus essentially is wrapped around the destruction of Jerusalem and the Temple in 70 AD. The Jonathan vs Jesus comparison itself causes some questions, see the Appendix. That this Egyptian would rather be more useful for a hypothesis Paul ~ Matthias. If Saul / Paul is from Tarsus, with tarsos = basket, and thus is the new Moses, then we recall that Moses was an Egyptian. Re-reading Einhorn’s 2012 article I was struck again by her identification of the strong links between Jesus and the Egyptian. That Jesus was the Egyptian has been a dear hypothesis of mine – like the other hypothesis that Jesus is Flavius Josephus (FJ) himself. Above two reasons however cause the elimination of the Egyptian as a main character for Jesus. Elements about the Egyptian have been used by the gospel writers, nevertheless, to flesh out a story about Jesus. But lots of other elements in the writings of FJ have been used too. Thus the Egyptian is just dressing and not the core. The Egyptian who wants to bring down the walls of Jerusalem reminds of Jericho, and remember that Joshua is a military leader while Moses was priest and warrior. The scene on the Mount of Olives in FJ is used for the gospels, both for the multiplication of bread (knowledge) and for the betrayal by Judas. The disappearance of the Egyptian reminds of the empty grave of Mark. The Therapeutae from around Alexandria, mentioned by Philo, seem to have christian-like rituals and forms of organisation. When Jesus would proclaim to be (the son of) god, then this may also be part of the Egyptian burial ritual, in which the priest takes the role of Osiris, and argues that the deceased has lived well. Playing the role of god might be confused with the claim being one. Einhorn states: “a failure to find either a biblical or an extra-biblical precedent for the described custom of releasing a prisoner at the feast”. But, remember that Yom Kippur has two scapegoats: one that is sacrificed and one that is set free in the wilderness. The wilderness of the Egyptian reminds of where one of the Yom Kippur scapegoats is sent to. Who puts on the google glass of symbolism reads FJ’s works with other eyes. Paul’s denial to the centurion that he isn’t the Egyptian, (a) may be a lie, which would fit the “speaker of lies”, (b) may be the truth, as a hint that it is Jesus (in time shift), (c) may be the truth, in the sense that the Acts use FJ’s information to make the story more “historical”, (d) may be a fluke of coincidence (but these texts seem to leave little to coincidence). Einhorn allows for the possibility that Jesus and Jesus Barabbas (“Son of the Father”) are the same. I agree with this possibility. But, as Paul is arrested for a disturbance in Jerusalem and shipped to Felix too, I wonder whether he is that Egyptian “who disappears”. And Barabbas then is created as that second scapegoat. thus Jesus must have come back from Egypt. Hence I would prefer to focus on the core message of the NT – Son of Man & King of the Jews – and use this message to see what historical or historised characters are used. While the Egyptian might look like a strong inspiration for Jesus, let us not forget that the gospel writers also used other elements in the reports by FJ on Judea. It is very tempting to give the Egyptian a special place, but he may be just one of those elements. Consider just the following two examples. There is Jesus, son of Ananus, who warns at Sukkot about the destruction of Jerusalem, who is whipped by the Romans, remains silent, but is dismissed as innocent. But the Jews persist in their error (insurgence) and cause the Romans to kill him – which is parallel to the NT. Incidently, it doesn’t require much genius to foresee that the Roman army could conquer Jerusalem. This Jesus might still be a lunatic and only needed to have become agitated by overhearing some political debates. In Moses who dies and is not allowed to enter the Promised Land and subsequently Joshua who does, we already have a model of death and resurrection. Like with the scapegoat who dies and the other one who is set free in the wilderness. Like with John the Baptist and Jesus (as long as he lives). My suggestion is that the basic model is given by the two solstices in the zodiac. The description by FJ of Theudas – John the Baptist – who divides the waters reminds of Moses, which is an announcement of a coming of a Joshua. Einhorn’s arguments that Theudas is an interpolation in FJ are strong. I am amazed that she uses the “criterion of embarrassment” that John is too important not to mention, and hence ought to be historical. I am more inclined to follow Stephan Huller that the works by FJ have been heavily edited by Christian redacteurs. There have been points in history in which they had the opportunity and the motive, and there is a corps, so that we have the three basic criteria of Sherlock Holmes. I do agree with Einhorn that (Jesus ~ the Egyptian) and (John the Baptist ~ Theudas), at least within this small framework of comparison. Indeed for the stated reasons. But for reasons of the zodiac and storytelling and not because of history. These associations are strong on the zodiac and weak on history. For history, James the Just (present in the Dead Sea Scrolls) and Simon bar Giora (only FJ) are more important for the figure of Jesus. Overall though, I would regard John the Baptist as a derivative to the core argument, and as a product of literary development, and not as a key to decode it. Baptism is of key importance for the conversion of Helen of Adiabene, as we saw before, and the gospel to the gentile. And perhaps I am one of the few persons in this universe of discussion who insists upon the importance of circumcision to understand the Origin of Christianity. If you aren’t circumcised yet, why won’t you cut off that foreskin like Jesus, who died to redeem you from Original Sin ? And why would women not claim equal rites here ? Still, John the Baptist is a cardboard character who symbolises the theological argument, who paves the way rather for Paul than for Jesus ~ James, and there is no reason to hold that he would be historical. That the Egyptian is a vague figure in FJ’s reports is hardly an argument, when we follow Stephan Huller’s suggestion that FJ is strongly edited. He still might be the real historical Jesus. Nevertheless, the NT has a message, and this message would indicate that James the Just and Simon bar Giora would provide much of the flesh that is pasted upon the mythical idea of a dying and resurrecting king-god. Other episodes in the reports by FJ have been used to fill out the NT – potentially following a structure taken from Homer or directly the zodiac itself. The Egyptian is just one of those episodes, and not a crucial one. It is not likely that Jonathan is Jesus, since Jonathan would not occur in the Dead Sea Scrolls while James does as the teacher of righteousness. James is murdered by the Jews themselves, which fits the NT accusation (with the Romans only as executioners). One might of course also hold that the NT covers up the responsibility of the Romans for murdering beloved Jonathan. Note that Josephus in War 2.13.3 explains the murder of Jonathan by sicarii, while Antiquities 20.8.5 accuses Felix, which is more likely. See also here. In Antiquities, FJ also qualifies the murder on Jonathan as a major reason for the destruction of the Temple. (See Gary Goldberg’s longer list.) FJ’s reasoning is rather convoluted: The murderers of Jonathan are hired by the Romans and their impiety towards the Temple causes God to send those same Romans to destroy the Temple. Perhaps FJ means to say that the Jews should have prevented the Romans from coming close to the Temple anyway.